On Friday, Winters and I decided to see how The Bates Motel and Haunted Hayride had changed since our visit a couple of years ago. Let me tell you, we were not disappointed. The Bates Motel has 3 attractions: The Haunted Hayride, The Haunted Trail and The Haunted House. We dragged along two of our friends and did all three attractions. It took us about 2 hours to get through the whole thing, including waiting in line. Though, if we had gone later, it would have taken much longer. By the time we left, the place was so crowded we could barely walk across the field to our car. 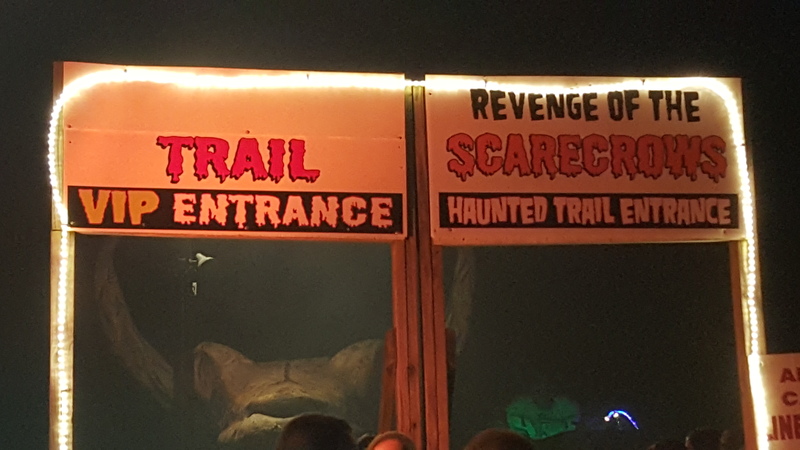 The first one we did was The Haunted Trail. Here, you and a group walk through a disorienting cave where unseen people push against you. You follow the designated path through several different areas, including a clown house, a slaughter house and the deep south. The actors run up to scare you, touch you and whisper sweet horrors into your ear. The second attraction was The Haunted House. It was much the same as the Trail, but indoors. There were several different rooms, like a nursery, a room full of clocks and a green house (with a weeping angel!). The actors in this one were more silently creepy. They’d walk up to you and stand close until you were uncomfortable, grab at your legs while you walked by and jump out when you’re distracted by the awesome effects, like ghostly projections on the wall. 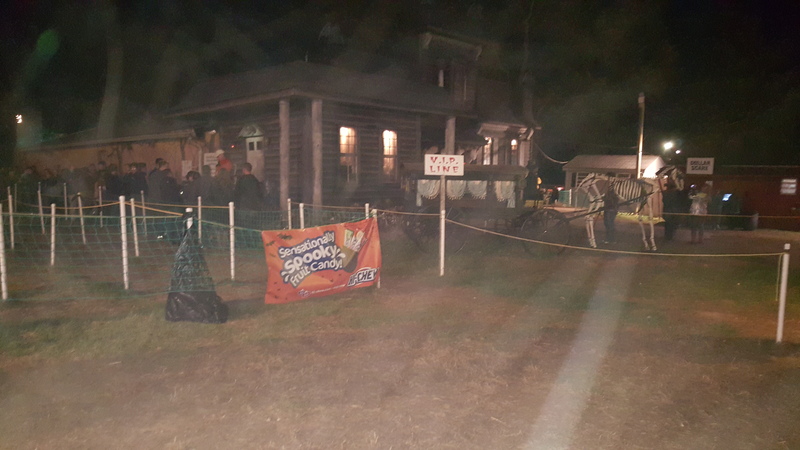 The final attraction was The Haunted Hayride. This is the most popular with the highest production value. With pyrotechnics, animatronics and well-made sets, this attraction certainly made me scream the most. It doesn’t help that the actors always snuck up behind me when I wasn’t looking. My friends got a kick out of that. Actually, I screamed so loud at one point that I startled the actor who scared me. The Bates Motel Haunted Attraction has always been one of my favorite places to go. I’ve been a return customer for years and I’ll continue to be so until it closes, I die or it becomes so cheesy that I just can’t stand it. The actors are (mostly) amazing. There were a few that fell out of character. 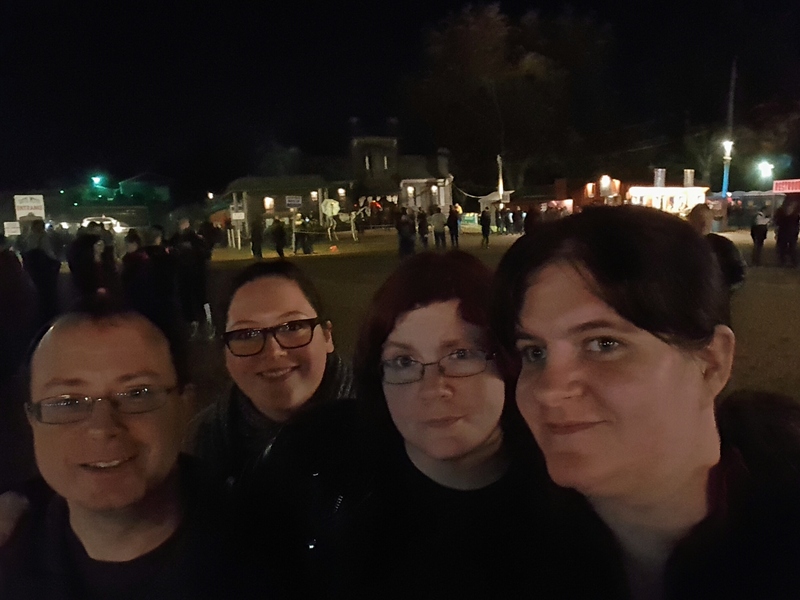 One broke character to tell WInters that he appreciated her Firefly t-shirt, one broke when I startled him during the hayride and another broke when he failed to scare our friend Steve on The Haunted Trail. Other than that, the sets, the actors and the effects are top notch. A new thing they had this year (or, at least, something I noticed for the first time this year), was a scare machine. With this machine, you put in a dollar and you watch a screen, which is broadcasting from a hidden camera in The Haunted House. You wait until a group of people are walking through, then press a red button, which causes something to jump out at them. I was able to scare, at least, 5 people with this machine. It was a good time. All in all, I would highly recommend The Bates Motel and Haunted Hayride. Gather a group of your friends and head out to Glen Mills, PA for a good fright. This entry was posted on October 25, 2015 at 3:00 pm and is filed under Review with tags Fun, Halloween attraction, Haunted House, Horror, Scary, The Bates Motel. You can follow any responses to this entry through the RSS 2.0 feed. You can leave a response, or trackback from your own site.